Ok so where do I start? 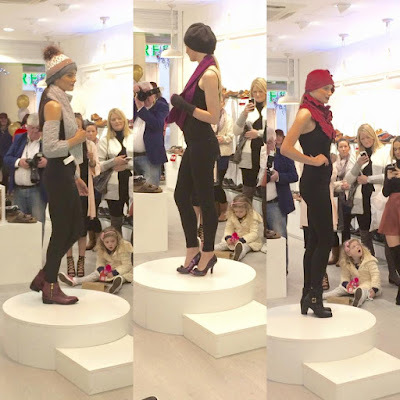 On Saturday the 7th of November I was very fortunate to be invited as a VIP Blogger to Galway Fashion Trail 2015 in collaboration with Galway Now Magazine , Galway Design Week and Catwalk Modelling Agency. Saibh and Sinead from #itwbn have been working in conjunction with Galway Now Magazine over the past month to showcase local businesses and the spectacular vibrancy which Galway city holds. I literally jumped for joy when I received the invite for this event and got more excited as I read what the day had in store. The first thoughts that ran through my head were "what am I going to wear?" 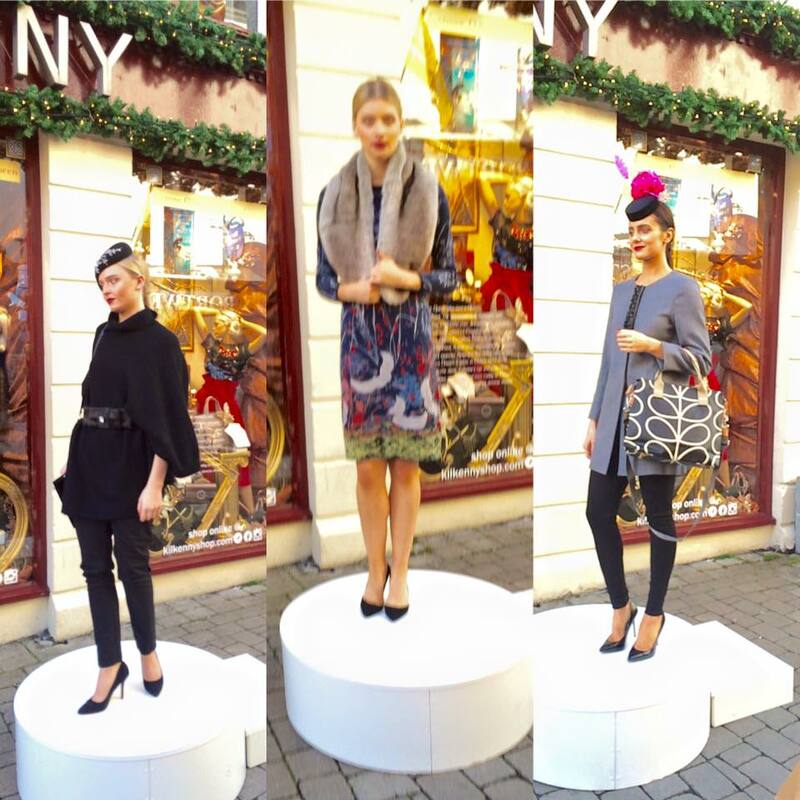 Galway city is already a super stylish place on a regular day to day bases, so when holding an event like this on such a huge scale the style stakes would definitely be risen. All details were not revealed on the invite so there were a lot of surprises in store which brought a lot more hype to the day. The day began with an intimate 'Blogger's Breakfast' in the lavish and very elegant Cupan Tae. 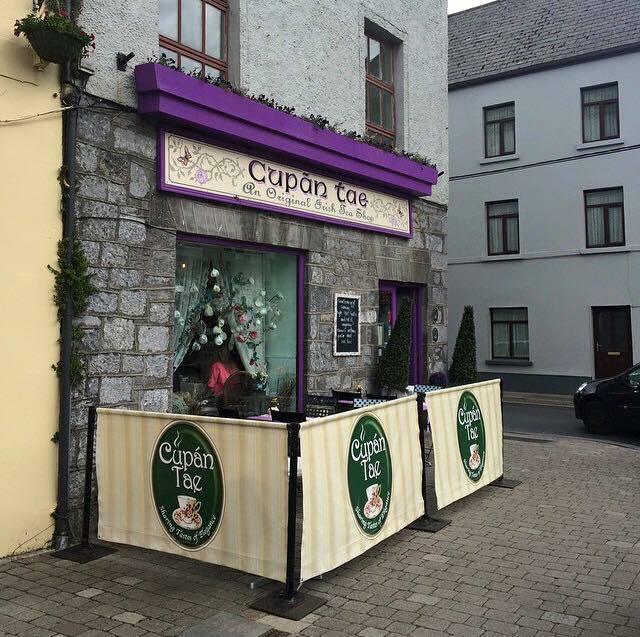 Cupan Tae is located on Quay Lane opposite the Spanish Arch. We dined in the Serendipity Suite which had only just opened that morning. The room accommodates thirty people and is available to hire for private dining events. It has a charming old world feel to it and luxurious interiors perfect for unique intimate parties. We were treated to 'beforenoon tea' which was delicious. We had yummy scones with walnut butter and fresh jam which melted in your mouth, granola with natural creamy yogurt, fresh fruit, maple syrup dusted lightly with bee pollen. We then sampled delicious warming hot chocolate. It was the most perfect start to the day. I really can't wait to return. 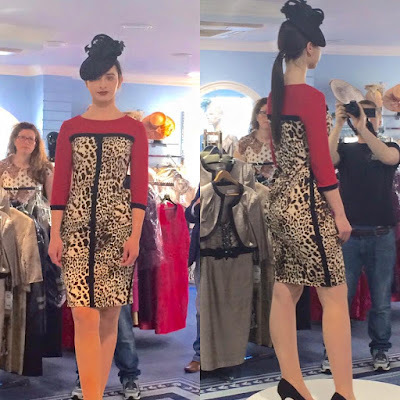 After breakfast we made our way to the first fashion show which took place in one of the longest running boutique's in Galway - Colette Latchford Boutique. 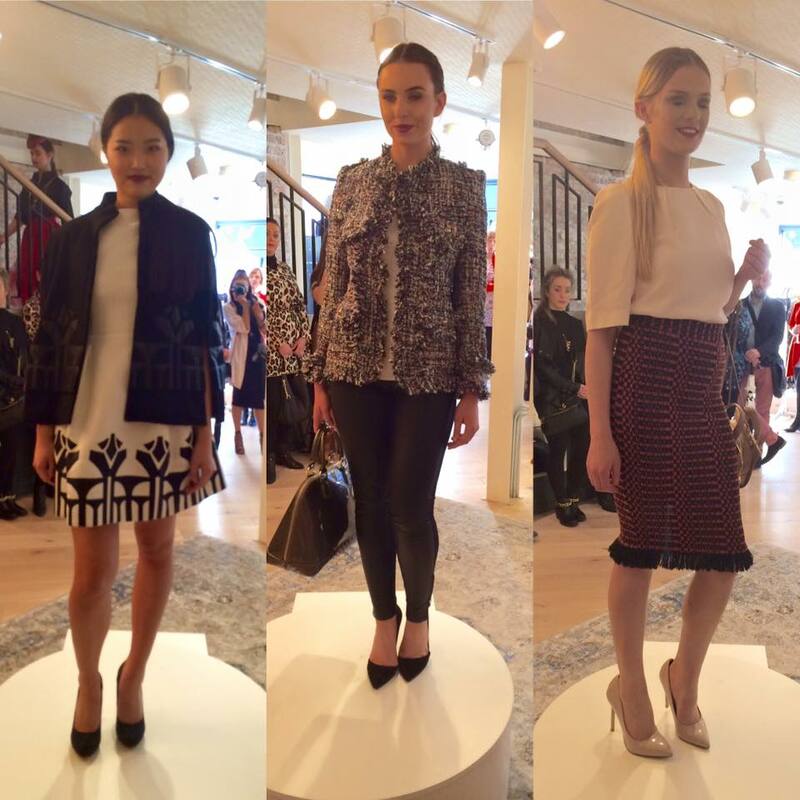 Colette Latchford collaborated with Irish designer Heather Finn . 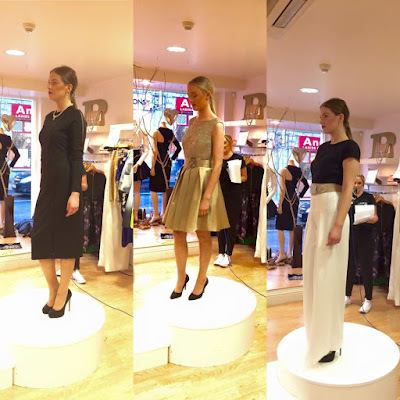 Together they show cased gorgeous occasion wear and Irish knitwear. The collections were both stunning and vibrant finished with statement jewellery and accessories. Modeling this gorgeous collection were models from Catwalk Modelling Agency . They did an amazing job to say the least. 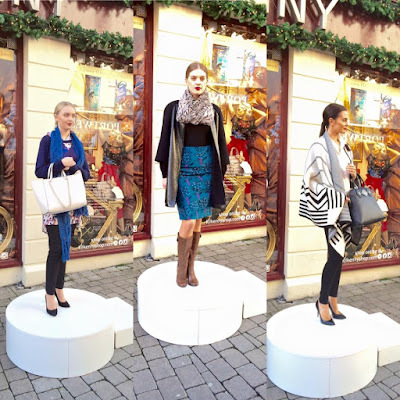 Their stunning make up was by Inglot in Galway, above Cara Pharmacy. I know for sure where I will be going for that perfect contour. The make up artist here are perfectionists. Bellissimo styled the models hair ensuring that the models looked minimal and chic. Which was gorgeous with all outfits portrayed on the day. Gosh Shoes were up next. A shoe lovers dream come true where you can channel your inner Carrie Bradshaw. Gosh Shoes has a wide variety of shoes from flats, to heels, to boots. 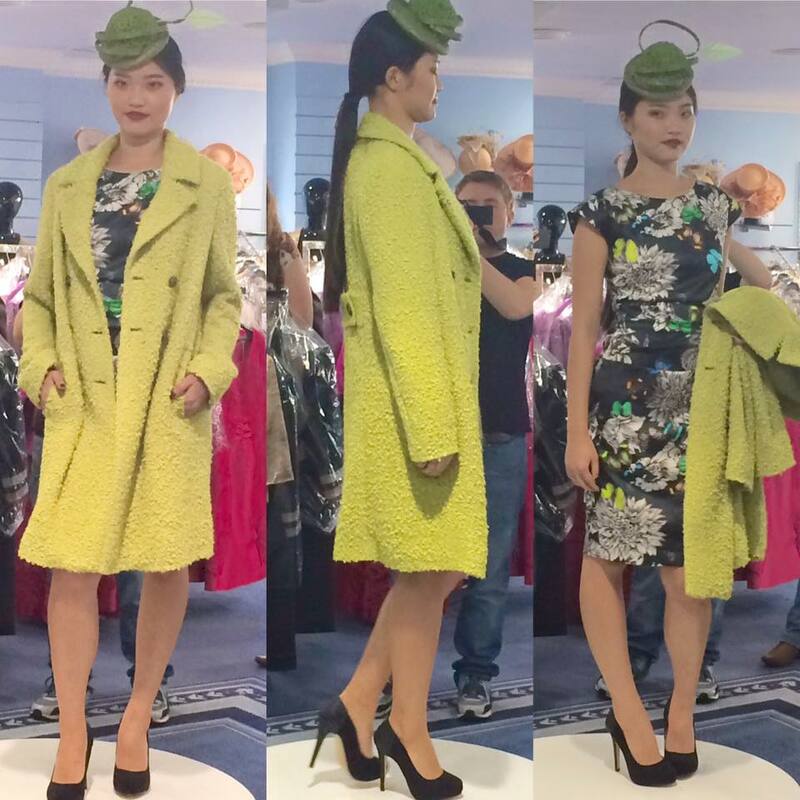 In collaboration with designer Breege Walsh. Breege Walsh millinery and accessories can be purchased in the Hat Shop in the Eyre Square Centre. Gosh Shoes also have a website where you can shop online and get your items delivered to your house. They also take deposits where you can pay for your shoes over time. The next fashion show was held in the Treasure Chest. Here we were treated to a glass of bubbly while we watched the show. Suzie Mahony was collaborating with the Treasure Chest. 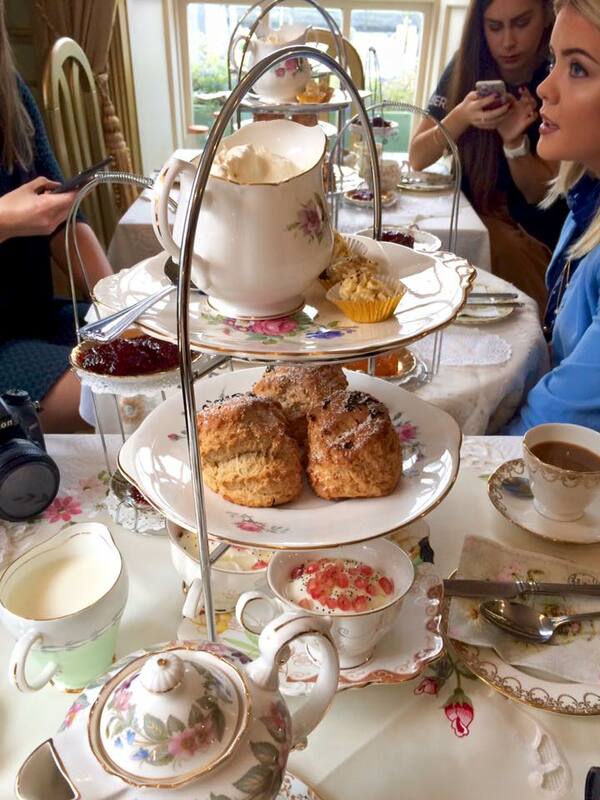 Suzie treated all of us bloggers with hat hires for 2016. Perfect for the races next year. After watching the show and seeing what she has for offer I really do not know how we will choose which to go with. They really are beautiful. The Treasure Chest revealed a wide collection from winter occasion wear to everyday winter jackets. You really are spoiled for choice. Suzie also attended London Fashion Week this year and her hats were featured along side House Of Ikons . 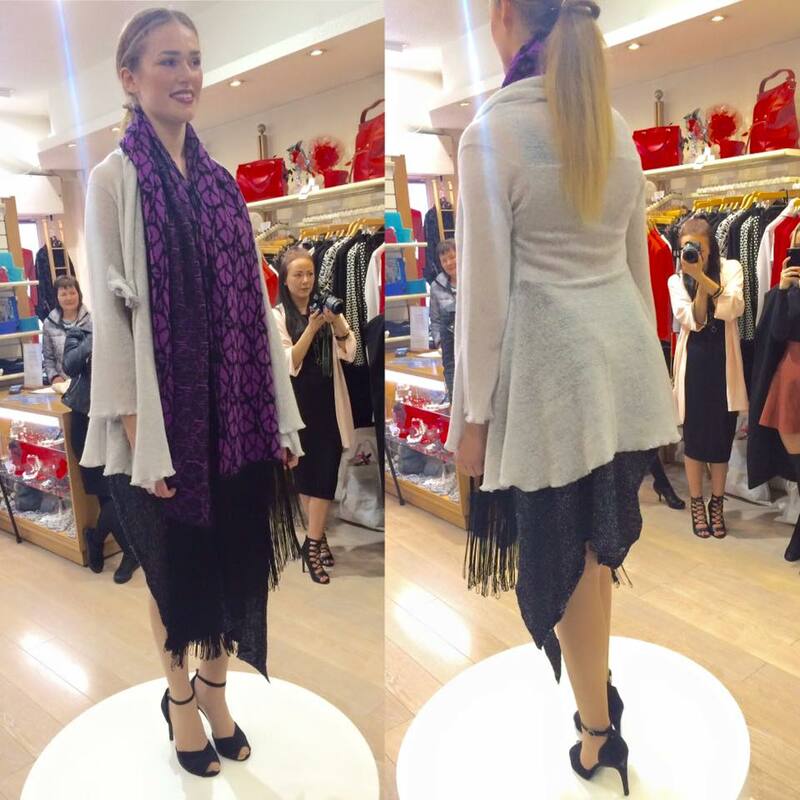 On our way to the next show we popped into Hartmanns, where we got to view the Irish designer Maria Dorai Raj jewllery collection. Her design is very unusually using silver and gold with a modern day twist. 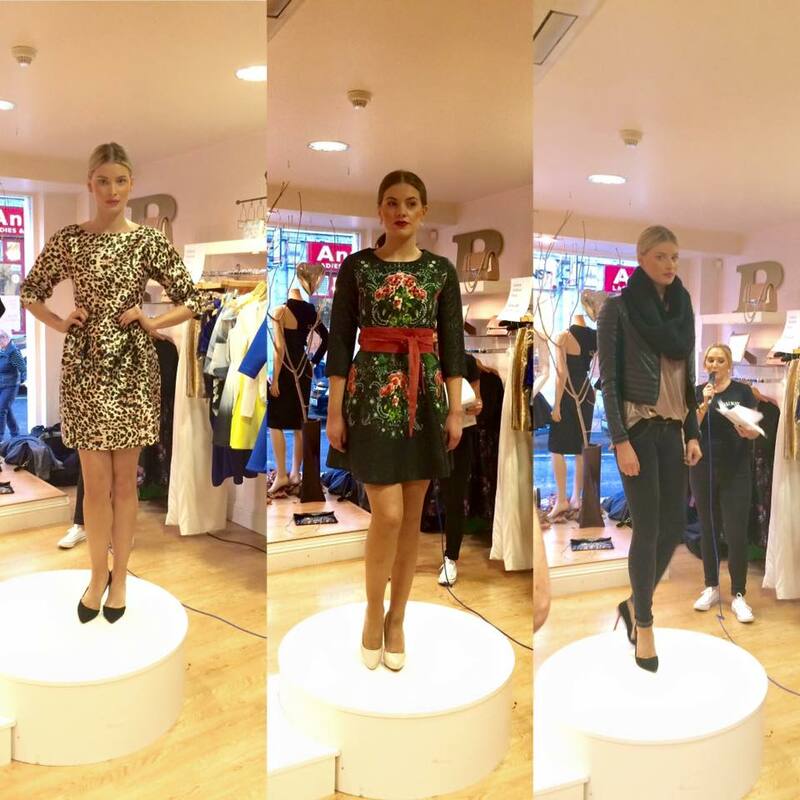 We then made our way to Anthony Ryans for the fourth fashion show of the day. Caithriona King Millenery collaborated with Anthony Ryans where they worked together to show case Caithriona's unique and eye catching works of art. 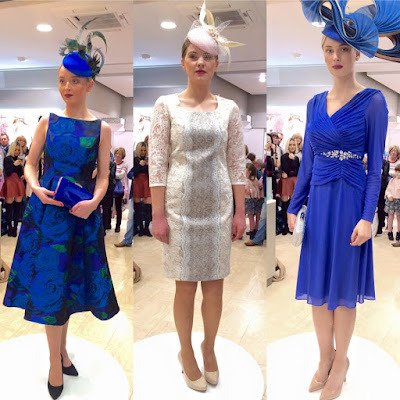 Anthony Ryans show cased elegant occasion wear. 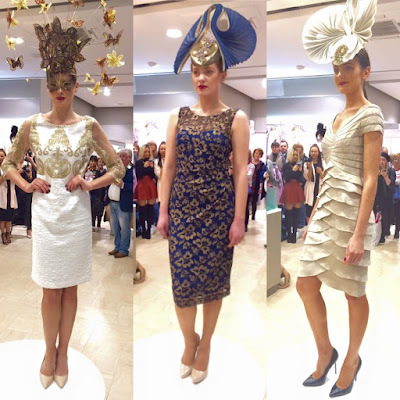 The head pieces worked so well with the dresses. Perfect for ladies day at the races or wedding guests and mother of the bride attire. Next stop Willow. The first time I heard of this boutique is when Erika Fox aka Retro Flame was home from New York in September. She was shopping there and showed a few of the items she bought in the store on snapchat (retroflame1). I loved what she bought and ever since have been dying to check the store out for myself. The items she bought were gone (the effects of a blogger! )but it is really hard to leave empty handed. The collection, the decor, the staff - everything was amazing! 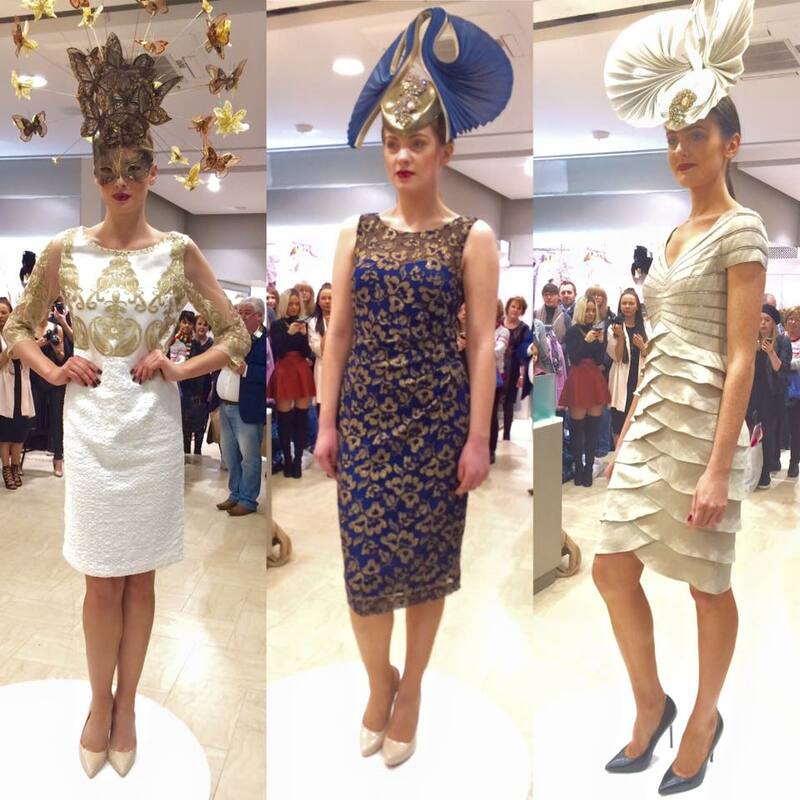 Willow collaborated with Brid O'Driscoll Millinery her hats finished off the collection beautifully. After Willow it was onto The Kilkenny Shop. This time the fashion show was taken outside which brought such a buzz to the city. 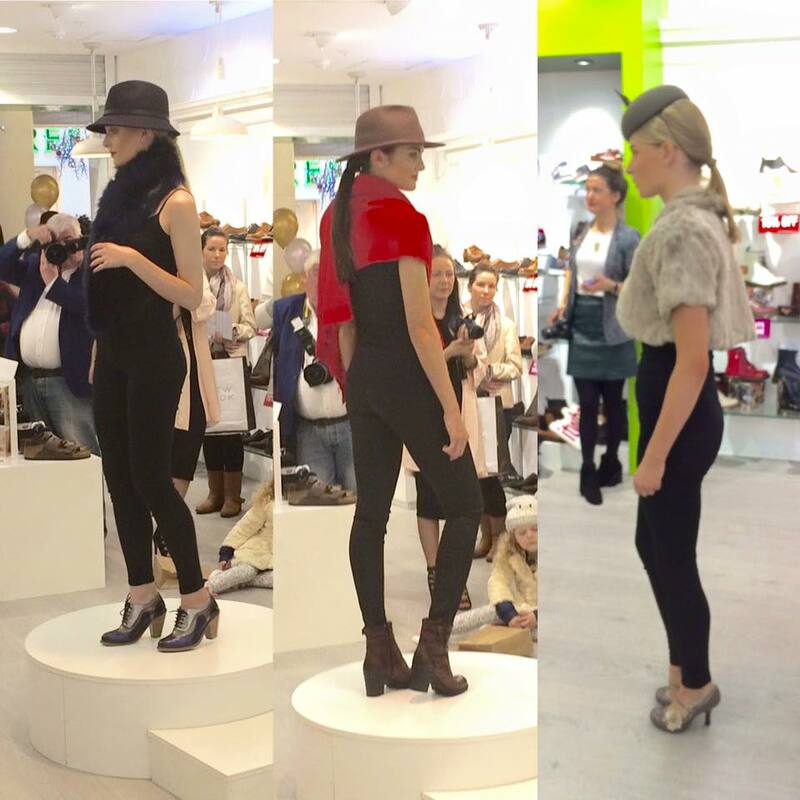 So many street walkers stopped to join in on the fun and to take in the gorgeous collection from the store with the perfect finishing touch of millinery by Emily-Jean . After such a busy few hours it was time for a quick coffee break. The bloggers split up to find their favourite coffee shop. Sandra, Jess, Kieran and I decided to go somewhere new. So we went to the Tribeton . I can honestly say this is one of the coolest places I have ever been to... for coffee anyway! It is one of the newest venues to Galway, its huge and really different. We didn't have long to spare so we had a quick coffee and had to go to the next show. I will definitely be back soon though. MUSE by Dee was the second last show of the day. 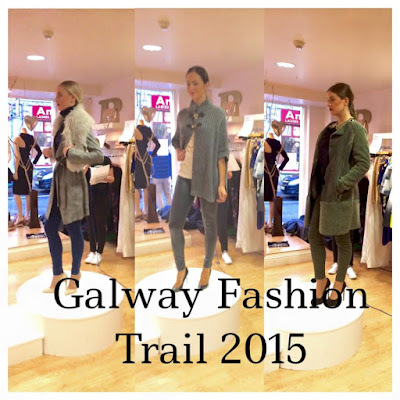 It is one of the newest boutiques to Galway, located across the road from Pia. They have a huge collection on offer with all of the latest trends and chic casuals. Muse by Dee collaborated with Dearbhaile Joyce . A very talented young designer with a huge future ahead of her. Her design is unique but still very much on trend. I loved it! 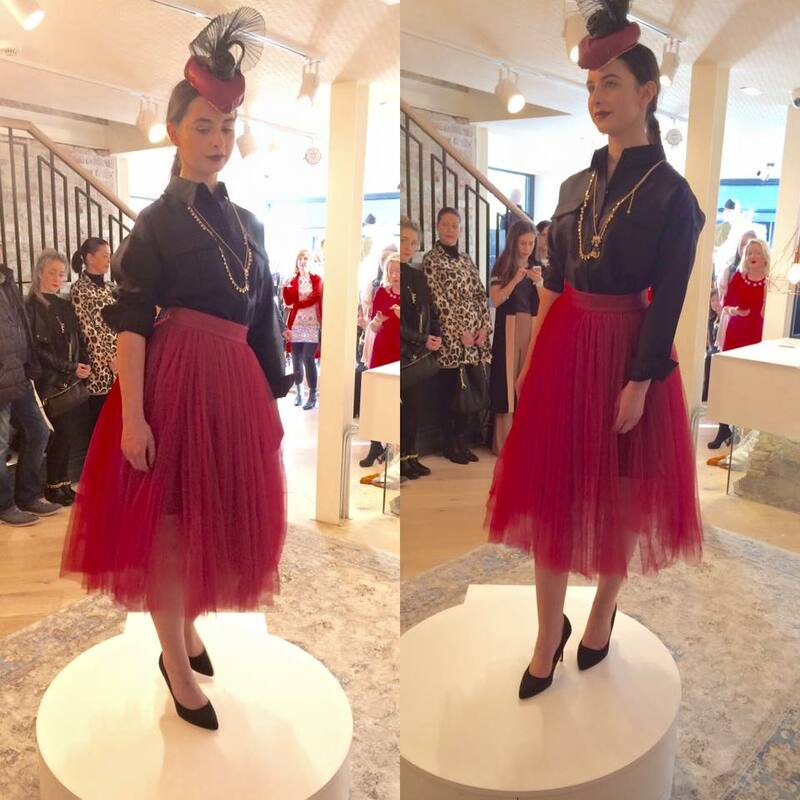 Between shows a few of us made our way to Faller's Jewellers where Natasha Heaslip showcased her gorgeous collection of dainty jewels. I loved how dainty the collection is and how every piece is so original. We also checked out Cloon Keen Atalier. I loved the candles and perfumes they have to offer. Perfect presents for Christmas! Last but by no means least we made our way to Pia. I love the collections they hold in this store. 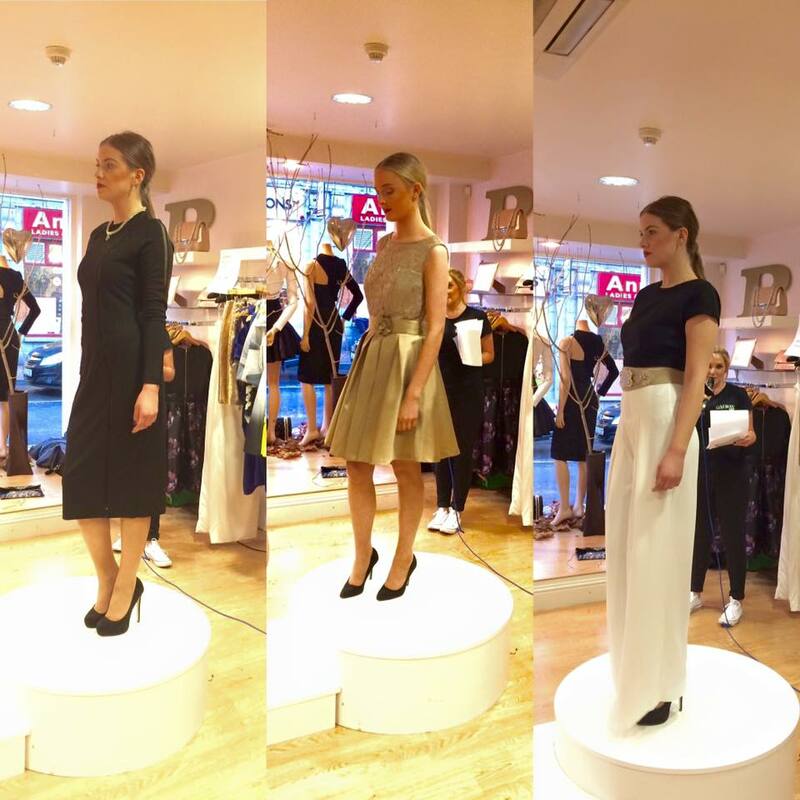 They have such a wide range of occasion wear - hello glittery dresses, to your basic figure sculpting Freddy Jeans. They also have gorgeous accessories and handbags. The clutches are to die for! Pia collaborated with designer Lynsey DeBurca. Her pieces are inspired by the west of Ireland and they are just fabulous. The House Hotel wrapped up the evening treated us to some yummy nibbles, prosecco and limited edition #galwayfashiontrail cocktails. Perfect ending to a perfect day! Everyone did such an amazing job of making the day so special. I would like to thank and congratulate Galway Now Magazine and Catwalk Modeling Agency for making the day such a huge success and a fashion filled day, thank you to all the boutiques and stores for holding all the shows and upper the style scale to show what Galway really has to offer. Cupan tea, Cask, Tribeton and The House Hotel for keeping our energy levels up throughout the day. And of course to Saibh and Sinead from itwbn.ie for everything you do! I'm loooking forward to #galwayfashiontrail2016 already!